Dating back to the 12th Century, Oakham Castle is one of the finest surviving examples of Norman architecture in England. 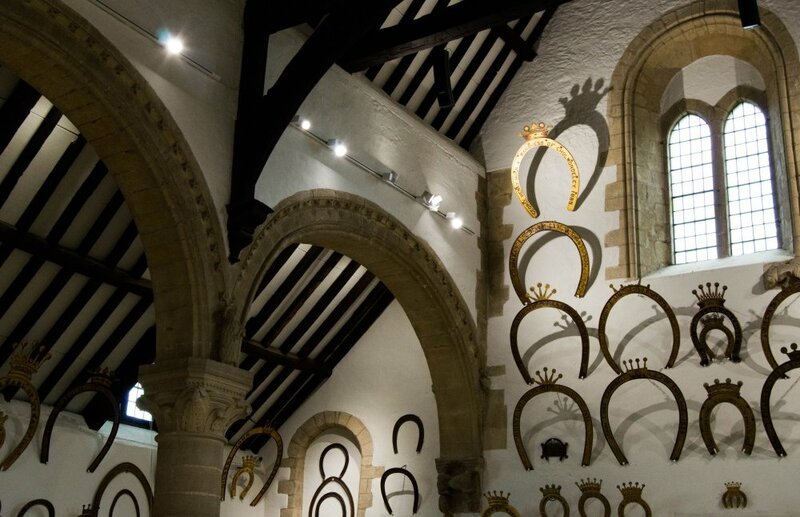 Upon receiving a £2.2m Heritage Lottery Fund grant, the castle recently underwent a comprehensive restoration turning it into a first-class culture and heritage centre. The work included preserving the castle’s key features whilst adding brand new interactive displays and exhibits for guests to enjoy. As part of the refurbishment, Concord worked with M & E specialists, E P Consulting to develop an effective lighting solution. The installation incorporated exterior and interior lighting solutions, improved facilities and an exhibition fit out to showcase the Castle and its history. The mechanical and electrical services needed to be sympathetically designed to blend in with the structure of the building whilst improving the outside lighting. 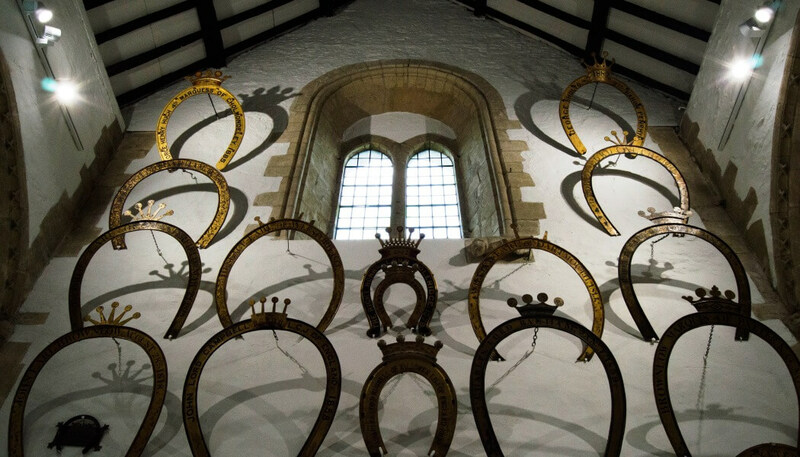 The team was also tasked with illuminating a unique collection of over 230 ornate horseshoes within the Great Hall, which the Castle is famous for. The new design was achieved by using a variety of luminaires to create the desired look in each space. For example, in Court No. 1 track mounted Concord Unity LED direct / indirect luminaires were installed to provide the right light levels and reveal the remarkable features of the room. Concord Beacon Muse LED luminaires have been installed in the Great Hall to provide ambient lighting and emphasise particular aspects. To create a sense of theatre and highlight the distinctive horseshoe collection in the Great Hall, a number of Concord Beacon XL spotlights in medium and wide beam options have been installed. Meanwhile, Concord Brio IP65 LED feature in the castle’s old police cells, Ascent 150 downlights in the WC block and Sylvania’s DeltaWing LED and weather resistant Sylproof Superia LED were used in the judges retiring room and plant room respectively. The carefully selected luminaires achieved the required light levels and efficiencies, proving them as the ideal solution for both energy savings and aesthetics. A suitably dramatic lit environment and energy efficient design was required with visitor safety an important factor of the design concept. Route LED downlight luminaires were installed all over the project to provide non-maintained emergency lighting. The Sylvania SylSafe Twin Flood LED has been used as emergency lighting in the Great Hall and SylSafe emergency exist luminaires have been installed at all exists. A combination of outdoor luminaires have also been installed to highlight the castle’s exterior fascia and create an attractive lighting scene for maximum impact. For more information visit www.concord-lighting.com.